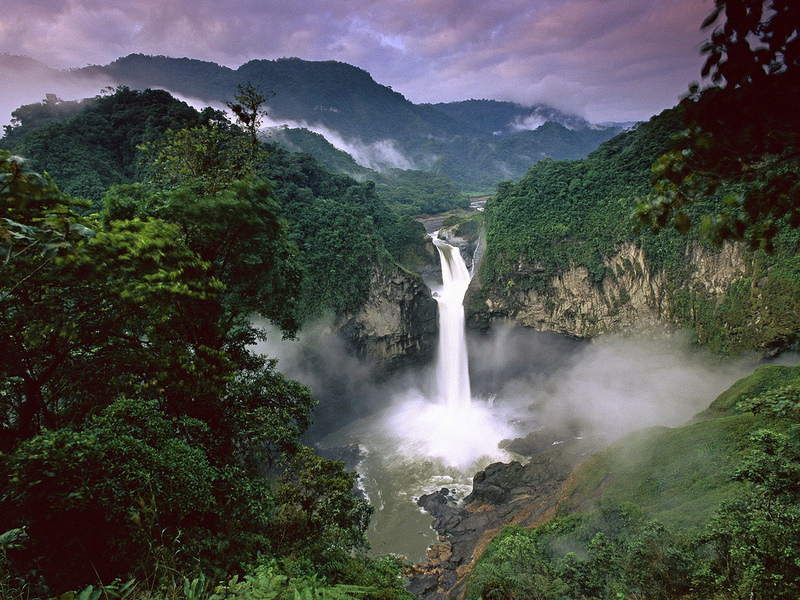 The Amazonian rainforests span 2.4 million square miles, so 3.875% of the rainforests were cut down in that 10-year period. Rainforests can be re-grown (which scientist Willie Smits demonstrates in this interesting TED Talk on reforestation in Indonesia), but it has been estimated that it will take decades for tropical rainforests to achieve their earlier levels of biodiversity and carbon storage capacity. We all know that forests act as “carbon sinks” because they pull carbon from the atmosphere and store it. But, just how much carbon do they hold? A study from Australian National University estimates that tropical rainforests store 250 metric tons of carbon per hectare (or 101 metric tons per acre). [SIDE NOTE: These storage figures talk about amounts of carbon, not carbon dioxide. Carbon is what trees store because oxygen from CO2 is released through the respiration process. But when a tree is cut down, the carbon combines with oxygen in the air to once again form CO2. One metric ton of carbon emissions actually results in 3.67 metric tons of CO2.] So, one hectare of rainforest stores 250 metric tons of carbon. To put this in context, the EPA estimates that the average U.S. car emits 1.38 metric tons of carbon each year (which results in 5.1 metric tons of CO2 emissions). That means each hectare of tropic rainforest stores the amount of carbon emitted by 181 U.S. vehicles in an entire year. Of if your house sits on one acre of land, that area could store the carbon emitted by 73 U.S. vehicles in one year if it were entirely covered in tropical rainforest. Then what is the expected result of 93,000 square miles of tropical rainforest loss? 93,000 square miles is over 24 million hectares (1 square mile=258.999 hectares), so 93,000 square miles of tropical rainforest could release over 6 billion metric tons of carbon (resulting in approximately 22 billion metric tons of CO2)! Global CO2 emissions in 2011 were 31.6 billion metric tons. Because trees store carbon, loss of these forests results in carbon being released into the atmosphere, in addition to a lost capacity to absorb carbon from the atmosphere. So, the impacts of deforestation are two-fold. Tropical rainforest deforestation contributes to climate change by releasing large amounts of carbon into the atmosphere. Rainforests have a tremendous capacity to store carbon, so reforestation could pull significant amounts of carbon out of the atmosphere. I understand that halting (or dramatically reducing) deforestation and initiating reforestation on deforested lands could have far-reaching economic and societal implications – after all, deforested land is used for agriculture, oil drilling, and development, not to mention the timber itself is sold as well. So, it would certainly not be easy to implement these changes. But it is clear to me that reducing deforestation and focusing on reforestation could contribute significantly to reducing global carbon emissions and atmospheric carbon concentrations. How can we as individuals contribute to this outcome? A number of non-profit organizations are working fervently to reforest the Amazon. See what one of my favorite organizations (The Nature Conservancy) is doing and how you can help here.